LONDON: James Anderson will not be caught once the England cricketer becomes the most prolific fast bowler in Test history, says Australia´s current record-holder Glenn McGrath. Anderson has 557 wickets, just six fewer than the retired McGrath ahead of the fourth Test against India, which starts on Thursday. McGrath, who played his last Test in 2007, expects Anderson to surpass his record and that it will then stand the test of time. 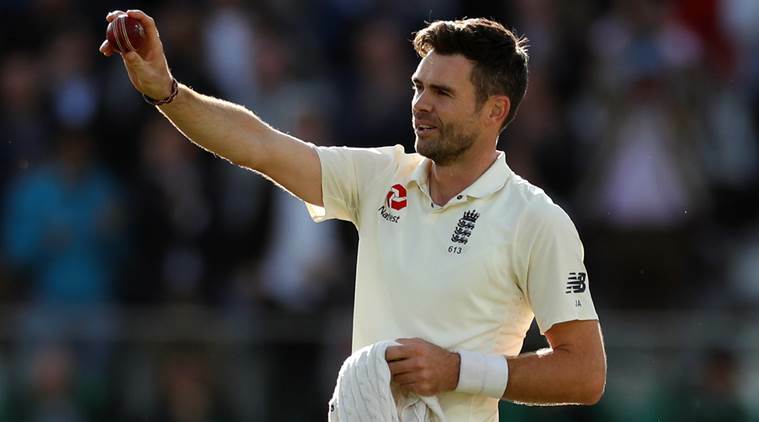 “Jimmy Anderson deserves everything he gets, and even though he is an Englishman I will be delighted for him when he goes past my record and becomes the most prolific fast bowler in Test history,” he wrote in Britain´s Daily Mail newspaper. “I have an awful lot of respect for Jimmy. Good luck to him. I believe once he goes past me he will never be beaten. Anderson, 36, made his Test debut in 2003 and has played 141 Tests for England. Spin bowlers occupy the two three places on the overall list of Test wicket-takers — Sri Lankan off-spinner Muttiah Muralitharan took 800 wickets, ahead of Australia´s Shane Warne (708) and India´s Anil Kumble (619). McGrath is currently in fourth position.